LassoART Designs is one of the best image editing companies that can help you with professional photo editing services. We are providing quality work for small and medium businesses as well as well-known large multinational companies since 2012. Get in touch with us today! Buyers From Delhi NCR and Metro Cities Will be preferred. Are you getting tired of finding best image editing services provider to edit your ecommerce images to improve your online sales. Contact our team by replying this ad. 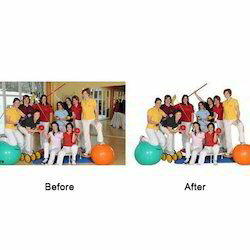 We are unique and personalized photo retouching services provider offering following digital image enhancement services at affordable rates. Product Clipping path, Background Replacement Services. Our team of expert designers will use Photoshop’s Pen Tool to hand draw a vector path around images to isolate the wanted object and separating it from the unwanted background. This vector path can then be deployed to create a selection with Photoshop. It can also be used later in pagination applications such as QuarkXPress or Indesign. 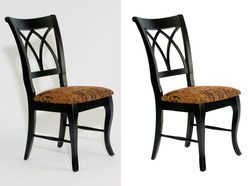 Our clipping path service with high quality, fast turnaround time 12-24 hour and at low price. We provide high quality clipping path service. We can process 500 images per day. Send in your clipping path service requirement to us. Our team of graphic designer are capable of delivering top quality clipping path solution 24 x 7. Image Clipping Path offers professional handmade clipping path service that helps you change the background of an image or a photograph. We have professionals who handle your clipping path requirements to adopt the handmade clipping path technique to perfect your images. Clipping path is mainly used to remove image's background, allowing the usage of its key image for varied purposes. Clipping paths are created in graphics programs and exported with the image as an embedded path/alpha channel, for usage in desired layout application.